The Gaming Mat Cobblestone is a PVC or CLOTH made rollable terrain mat, ideal for wargames, representing the scenery of an urban pebbles pavement. The Gaming Mat Cobblestone offers the possibility of setting battles between armies of miniatures on a city paving, on pebbles worn and made smooth by the passage of time. The mat is a perfect fantasy setting for urban-skirmish game play, and also ideal for historical cityfights! Are you ready to battle? You can choose Cobblestone printed on high quality PVC or on synthetic Cloth, its awesome graphic grants a wonderful and great-looking setting for your favourite wargames. The Gaming Mat Cobblestone is available in size 4×6’ (122x183cm), 4×4’ (122x122cm) 3×3’ (92x92cm), 3×6′ (92x183cm) and 3×4′ (92x122cm). Check It on Pwork website, click here! 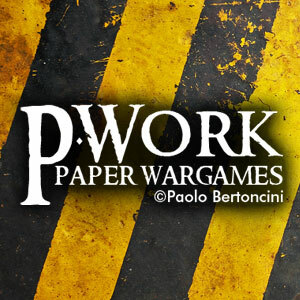 Take a look to the other products and to all the new releases on Pwork website, updates are continuos and constant: find out our other products for roleplaying games, such as RPG Terrain Tiles, Scenery Terrain (new fantastic release, the MDF Industrial Terrain!) and RPG Board Games Mats! Check also the other fantastic Pwork Gaming Mats!